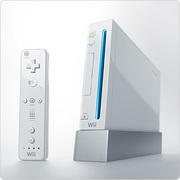 Our Wii systems come preloaded with over 300 games, including may popular titles, and 4 controllers. Requires 8 AA batteries, not included. Rock Band, Dance, Dance Revolution and Wii Fit are not included but can be added.